Born in 1958, Vicki Gaye Philipp grew up in Melbourne’s outer eastern suburbs with five sisters, one brother and a socialist, factory-working mother. After leaving school at fifteen, Vicki started working in offices and became a part-time jazz dancer. In 1978, she was arrested in Brisbane for taking part in a gathering to commemorate Hiroshima Day. Around that time, she witnessed the birth of punk in what she calls the “very oppressed and corrupt state of Queensland”. In 1980, she moved back to Melbourne and was employed by the Flying Trapeze cafe in Fitzroy, where she was a waiter and made costumes. She also worked for the Comedy Cafe and the Last Laugh. 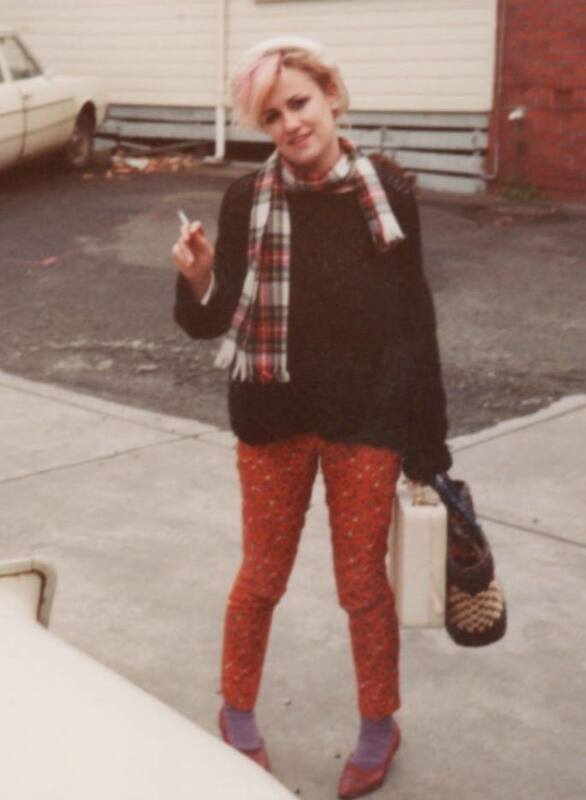 In 1982, she opened the Beach Cafe in North Melbourne, which would regularly show avant-garde films and host punk bands. Vicki played in punk/new-wave band the Fizz Pops, who had to pass up an opportunity to tour with New Zealand band Split Enz. In 1985, she opened Dizzy Spinners in Fitzroy—now known as Polyester Records—selling second-hand vinyl and indie labels, fanzines and home-made t-shirts. Dizzy Spinners hosted some of the first Painters and Dockers gigs. Vicki was instrumental in Melbourne Fringe, and has long worked in the arts, promoting social change. Currently, she lives in Aireys Inlet, a small coastal town in Victoria, with her partner of 30 years. They play music together as Victoriana Gaye.